Dreaming must always be defined by what the Lord is speaking. This will always be confirmed through trusted leaders and friends that you are walking out life with. We were born to carry our extreme purpose. Not our own, but our Fathers. Building His kingdom by leading the lost to Him. Training up others to building the Kingdom. Every other dream not focused in this will end in selfish venture. As children of the Father, we have been uniquely gifted. From our talents to our love languages. We have been specifically made in the image of our Father so that we can Build the kingdom in ways that we alone carry the ability to do. Celebrate who you are. You are special. You have been made intentionally. And you are not broken. You, in Christ’s love and power are an exquisite reflection of Jesus. 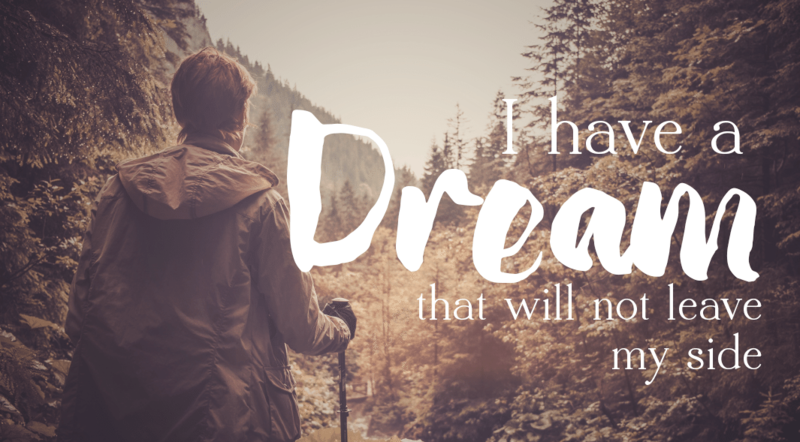 Only when our lives are fully surrendered to Christ are we able to dream God’s dreams. This doesn’t mean you’re perfect by any means, but that you are in constant communication with God, and in consistent repentance of inconsistencies and sin that separates us from God. Hope can be a scary word. At least for me it was. I had become so drowned in the failure of my life that hope became a four letter word. In my book, hope hurt. Hope lead to further discouragement. And hope was lonely. It wasn’t till I attended a conference with a ministry called living waters that the Lord made clearly to me the reality of hope. The speaker that evening was bold and captivating. 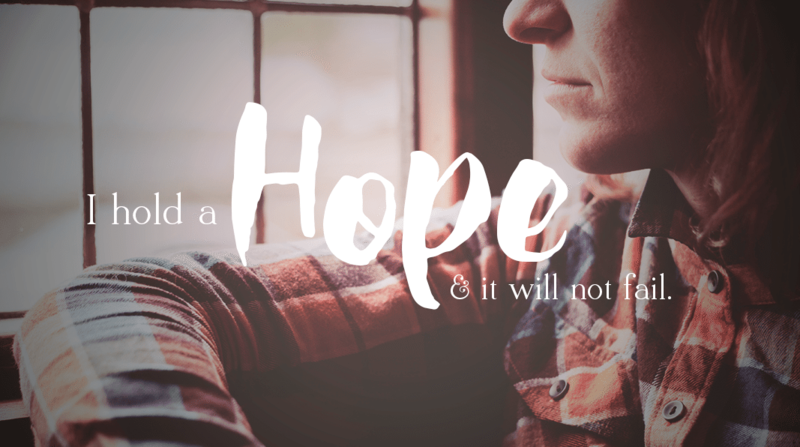 In a full room, he hadn’t looked at me once and mid sentence while talking about the Cross of Jesus he looked straight into my eyes, extended his right arm pointing to a large wooden cross in the room and said, “That is our hope”. With that, my entire reality shifted with a joyous ripping away of my flesh. Hope is not a fairly tail, neither is it big plans. Hope is the security of knowing what God has spoken to us. Hope is the knowledge that we have submitted our lives to Christ, to leaders and to friends and are walking openly before them. When hoping in what the Lord has spoken and the dreams the Lord has defined fill our life, every day is an adventure. Every day is a new opportunity to sew faithfully. Every day is testing ground to see if we will hold deathly tight to that dream. In and out of seasons, the word of the Lord to us does not change or fade. However it may look different than we expected. And with that we can take peace. If our lives are submitted, we can rest in knowing He who created us knows exactly what each day holds. We can enter into His rest and peace by keeping our eyes from looking anywhere else except up to Him. We experience His peace as we walk the paths that He has created us to walk and has called us to journey. 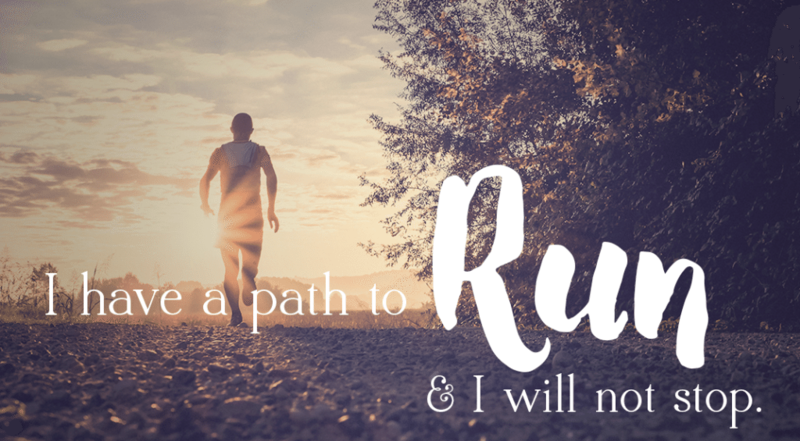 Running can be one of the hardest things we do. I hate to run. Loathe even. But four half marathons later, I am filled with the security that where God calls, He prepares the way. He provides the strength. And He enables the Journey. There is nothing important, life altering, or kingdom building that we can do alone. There must always be team involvement. However small or large, we can rest in knowing our support and help comes from the Lord and that he prepares our partners and teammates to make the journey with us. When templed to give up. Don’t. Push through and make the journey. Running to the finish can never be viewed in time lines or goals, but in a full and complete life, finishing this journey well and entering into the full and eternal rest of our Father. As we look to goals and time lines for accomplishing steps, they must be viewed as points of breakthrough, and not as finish lines. We are always moving from season to season, from glory to glory until the day we see Jesus face to face. One finish line is the start of the next race, and how we’ve trained, ran, and finished is how we start the next. I have a dream that will not leave my side. It is one of joy and passion. it is one of desire and of depth. I hold a hope and it will not fail. It is one of things to come and go. It is one of rising and of flight. I have a path to run and I will not stop. It is one of truth and grace. it is one of laughter and of tears. YOU’VE BEEN FRAMED! By Facebook, that is.